Please select options for 4-Piece OE Style Replacement Fender Flares (07-18 Jeep Wrangler JK) at the top of this page. I'm Ryan from extremeterrain.com and this is my review and installation of the Omix-ADA Fender Flare Replacement Kit, fitting all 2007 and up JKs. These are going to be factory replacements fender flares for your JK, and they are available in the kit you see here with all four pieces. Of course, I have only have two on the table today, and they're are also available as individual pieces. So if you simply break a flare, you can pick up a replacement and you're good to go without needing to purchase all four of them. Today, we're gonna talk through the installation of this fender flare kit, which is a very simple one out of three wrenches, because these are designed to go right in place of your factory flares. We're also going to talk about the construction and a few of the features of these flares. These OE replacement fender flares are going to be for those of you who either have faded fender flares and are looking to swap them out, have broken a few flares and want a whole new set so they all match, or maybe you have aftermarket flares on your Jeep currently and you're looking to go back to factory. There are couple of different reasons that you would want these, but if you are looking for an OE style set of fender flares, these are going to be drastically less expensive than a brand new set right from Jeep, and they look and function just like factory.That being said there are a lot of people that go to aftermarket fender flares often soon after they purchase a Jeep, and have a brand-new set of OE fender flares laying around. So you might be able to pick up a set of those inexpensively. But if you're not interested in shopping around and buying secondhand, this is a really nice way to go all while saving money over buying them directly from Jeep. Like I've said a couple of times now, these are OE replacement flares. You look at them, you pick them up, you feel them, they look, feel just like a set of factory flares. So whether you're replacing one or all four, these are going to make your Jeep look just like factory. You're going to get a factory amount of tire coverage. These do work with your factory light that is in the factory fender, they work with all factory hardware, although there is no hardware included with this kit. And when you're in the move, whatever factory flares you have on your Jeep, you're probably going to break a lot those plastic clips so I would recommend picking up a hardware package. Especially if you are replacing aftermarket fender flares, obviously, you're not going to have any of that factory hardware to bolt these on with. So, again, I would recommend picking up a set of hardware. Omix does offer that as well through the extremeterrain.com website for around $50. So getting to installation, as I said before, this is very simple one out of three wrench installation, although you will want to give yourself probably two to three hours to get this done, because it can take a little bit of time. The first step in getting these installed is, of course, removing whatever fender flares you currently have on the Jeep. And if those are factory flares, all you'll have to do is make sure that you remove your wire and wiring harness from the marker light that's in the factory flare. You remove a couple of bolts, and then really just give the flares a tug. You are going to break a lot of the plastic clips that hold those factory flares in place, but there isn't a good way of removing the flares without breaking those clips. I would recommend just pulling them up, you're gonna break some clips, get rid of the remnants of those clips, and then purchase new ones from Omix to get these installed. So once you have everything taken apart, you'll go ahead and reinstall these with that hardware kit that you'll have to purchase separately by inserting those clips into the flares, and then pushing the flares into the body of the Jeep. Again it's gonna align with all of the factory holes, it's going to be able to be used with your factory and your fender liners if you have them. It's going to use that factory light which you are going to have to attach before you get the front flares installed on the Jeep. But overall, because these are a factory replacement piece, the installation is very, very simple. All you'll need are some traditional hand tools. I would recommend having a trim tool handy, so that you can pop the remnants of those plastic clips out of the metal fender without damaging the paint, but other than that this is going to be an easy install. These flares are significantly less expensive than a lot of the aftermarket flares in the market, and especially a set of brand-new OE flares from Jeep. And if you're replacing your factory flares because they're cracked, faded, or you just want to replace them with new ones, if you're going back to stock, whatever the circumstances are, I would definitely recommend taking a look at these. They fit good, they're molded really well, and the best part about it, I've said it a million times, these look factory. These will bring your jeep back to that factory look. So if you're not interested in spending a ton of money on an aftermarket set of flares, you don't like the look of the either bulky flare, the pocket flares, the flat flares, you don't need additional coverage from wide flares, you just want factory, this is a great option, and it'll save you a lot of money over going directly to Jeep. So if you're looking to replace the fender flares on your Jeep, whether they be aftermarket or original, with a set of OE replacement flares, these are a great option that will install easily and save you some money. So that's my review of the Omix-ADA Fender Flare Replacement Kit, fitting all 2007 and up JKs that you can find right here at extremeterrain.com. Factory Appearance. Get back your JK's factory look without compromising your wallet by installing the Omix-ADA OE Style Fender Flare Replacement Kit. This Wrangler flare set includes front and rear fender flares in a handsome matte black finish to match your factory finishes. Each flare is designed to mimic the original factory appearance for that just rolled off the assembly line look. Durable Construction. These fender flares are made from durable UV treated thermoplastic for reliable performance and longevity. They are ready to mount with use of the Omix-ADA flare hardware kit (sold separately J103022) for a simple and painless installation. Application. This Omix-ADA Flare Kit is designed for use on 2007-2018 Jeep Wrangler JK models including Rubicon and Unlimited models. Hardware sold separately. Will these fender flares work with my existing OEM flare inner liner? Yes, the Omix-ADA 4-Piece OE Style Replacement Fender Flares should work with the OEM fender flare inner liners. Can these be painted to match factory paint? Hello, Yes they can. They would require the same amount of prep work as an OE flare would though. Are these replacement flares just as black (dark) as the OEM? The Omix-ADA 4-Piece OE Style Replacement Fender Flares are a Matte black finish and very similar to OEM fender flares but there maybe some subtle differences in color. Do these require the fender brace to be installed? These are OEM replacements, and would install exactly the same as your OEM flares. You will not need to use fender liners to install this kit. The Omix-ADA 4-Piece OE Style Replacement Fender Flares can be painted by a professional body shop with proper prep work. Thank you for your question! You will be able to paint these since these are made of thermoplastic, but they will need proper preparation. I would recommend consulting a professional if you decide to paint the flares. Hello! These will work with 07-17 Wrangler Unlimited! Hello, we wouldn't recommend painting these since they don't have a smooth finish to them. Hello, you shouldn't have trouble installing the Rugged Ridge Fender Flare Replacement Kit, OE Style, 4-piece (07-17 Wrangler JK) with a 4 inch lift and 35 inch tires. The Rugged Ridge Fender Flare Replacement Kit, OE Style, 4-piece (07-17 Wrangler JK) are original equipment style you could use these to replace your stock fender flares. These fender flares do not come with hardware so if you do not have the hardware you will have to purchase that separately. Great OEM look at a fraction of the price. My 2016 Wrangler JK Sahara came with painted fenders. Already the rear fenders showed countless rock chips. Decided what I needed was matte black fenders. Found these on the Extreme Terrain website. Installation was a breeze. And I love the look - no more rock chips - and the black fenders on my Billet Silver JK look way better. Definitely recommended. Easy to install and fit just like the OEM fender flares. Would purchase again if needed. The fenders were great and still look good. You definitely need to get the clips because the ones on there break when you remove the fenders. One thing I needed to buy was a plastic rivet gun. I went to Harbor Freight and bought one. Buy extra plastic rivets if possible too might be the only other suggestion. Overall not a hard install and they look great. These fit as advertised. The hardest part was attaching the inner shell from the stock set I replaced. The right rear fender was broken in one of the mounting spots, but with than that they worked out great. It wasnt in a bad spot where it was broken, so I just put them on. Quick refresh for the Jeep! Easy snap on install. Just helped to give me 07 a factory fresh look. Perfect fit and was easy to install! They look great! So easy to remove original fender flares and install these in one day!!! Great product! I would recommend buying this product. The fenders arrived quickly as did the recommended replacement kit. Fit was fine. Just make sure you have the correct rivet setter before you start. That way you don't have to stop in the middle of your project and spend two hours going from store to store to find one. One of the fenders arrived with a small tear but I didn't want to go through the effort of getting it exchanged. My 15 year old son was able to change out the flares for the ones he damaged learning to drive! Not as easy as it showed online but he eventually got it done. They look good. The product is truly OEM. Maybe manufactured with a little bit more heft (thickness) and we all know that's good when it comes to Jeep products. I have not installed them yet but plan on it this weekend. I was unaware of how much the originals had faded(and I keep it in a garage) but the new ones are a thing of beauty! Can't wait to see them on my Jeep. 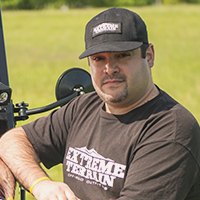 Keep up the Great work extremeterrain.com and you will have a dedicated customer for life. Can't say enough about your extensive inventory and your reps knowledge on everything they do. I have been to several Jeep products websites and in all honesty there is none other I would use. Price, inventory and quality are second to none. Thank you extremererrain.com! Do you have any ex.trn. stickers I could proudly display on my Jeep? Any would be Greatly Appreciated. Again, Thank you/ Customer for life, BA2015. Bought this product to replace damaged color matched flares. Product installed easy with minor modification to under lining. Definitely purchase the fender install kit. I was very careful removing old flares and much of the factory hardware broke during removal. I had to cut about an inch of under lining off where it previously attached to old fenders. Product looks good and would buy again.